The Claudia Panel Bedroom suite is grand and lofty in style and structure. 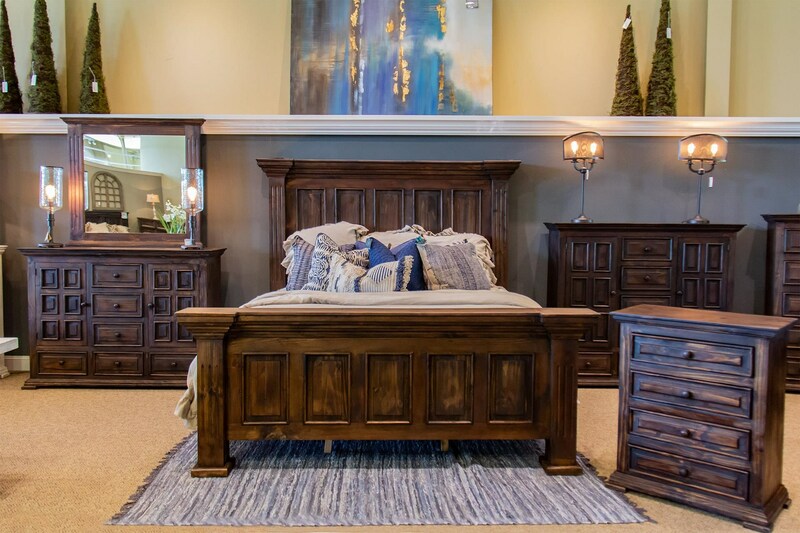 Graceful and inviting, with handsomely simple carvings, dress this King Bed, nightstand and dresser / mirror set up to add a touch of femininity or showcase the masculinity of the clean, straight lines this luxurious bedroom suite offers. The Claudia Bedroom collection will create a bedroom you will be proud of and will adore for many years to come. The Claudia King Bed, Dresser, Mirror & Nightstand by Vintage at Great American Home Store in the Memphis, TN, Southaven, MS area. Product availability may vary. Contact us for the most current availability on this product.